With a diversified high spec fleet and a global presence for a global industry – we are Seaco. Over 50 years of leading change in Container Leasing, Seaco has a reputation for knowledge, manufacturing quality and innovation. Interested in working for us? Then explore what it's like to work for Seaco. Seaco has an enduring commitment to serving the needs of people in communities worldwide and to fulfilling our public responsibilities. Keep up to date with the latest announcements and news from Seaco. Seaco participates and sponsors a number of industry events worldwide. Click here to review our forthcoming calendar of events. One of our representatives will be happy to meet you on-site. Seaco is led by strong Executive Leadership and supported by a global senior management team with years of industry knowledge and expertise. For further enquiries, please contact your regional Seaco office. 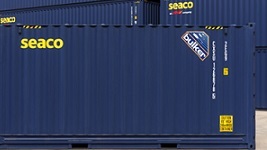 Seaco offers an unparalleled range of containers for every use, including Refrigerated and temperature controlled units, Tanks, Standard Dry Freight boxes, Swapbodies and Specialised containers. 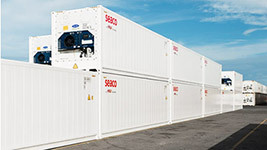 Seaco is one of the world's leaders in refrigerated containers, with a fleet of more than 165,000 units. Designed for a variety of different cargo types and transport modes. One of the world's leading tank leasing companies, with a modern fleet of 43,000 units ranging from T11 to T50 and capacities from 12,000 - 35,000 Litres. 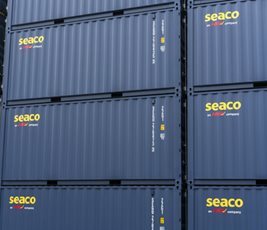 Seaco provides, for lease and sale, a wide variety of standard and specialised intermodal container equipment, located for immediate delivery from strategically placed depots worldwide. 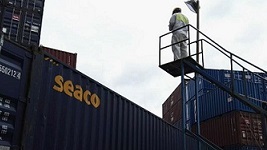 Seaco is now one of the world’s leading international container lessors. 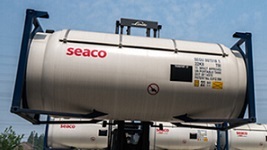 Seaco offers both Operating Lease and Finance lease solutions for short and long term durations including sale and leaseback. 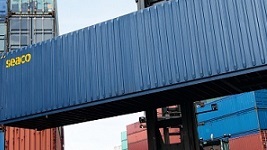 Seaco regularly sells a wide variety of containers from our large and diverse fleet. With a network of worldwide locations, we can offer equipment to our customers when and where it is needed. One-Way Move (Cabotage), enables customers to lease a container which can be picked up at one location and returned to another location, subject to Seaco's terms and conditions. Seaco has years of experience in managing third party container fleets under an asset management agreement. 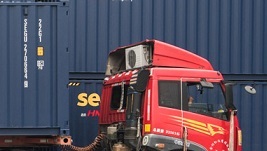 In January 2015, HNA-controlled Bohai Leasing Co of China acquired Cronos Containers Pty Ltd, and subsequently integrated the container leasing activities into Seaco Global. Since the amalgamation of Seaco and Cronos, Seaco has strengthened its presence not only worldwide but also in Australia with representation in Perth and established new sales offices in Brisbane and Sydney. The Seaco Global Australian team have been focusing on building the Seaco / HNA brand, whilst continuously meeting the ongoing needs of existing clients and developing new business relationships throughout Australia, New Zealand and the Pacific Islands. The Australian teams’ success has been supported by access to a global leasing fleet and unparalleled portfolio of equipment including: General Purpose Containers, ISO Bulk Liquid, Powder & Gas Tanks, Refrigerated and temperature controlled units and Specialised container types (suitable for bulk items). The global brand and local reach, helps to strongly position Seaco Global Australia as a reliable company for local industries to turn to, for the right container type to support: Agriculture & Farming, Construction, Defence, Food, Government, Logistics, Manufacturing, Mining, Oil & Gas and Waste. 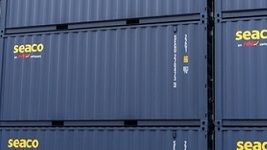 In addition to a wide range of equipment, the Australian based container leasing team can offer flexible domestic or international leasing options, tailored to suit individual customer requirements for long-term, short-term, master lease, spot-lease, one-way lease, finance lease and lease purchase options; including Damage Protection Packages (DPP). Seaco Global has relationships with Global carriers for equipment positioning and restocking of various standard and specialised container types. The Australian Container Sales team can offer specific equipment designated for sale in ‘as is’ or ‘cargo worthy’ condition. Seaco also has access to a network of skilled engineers who can undertake additional upgrades, modifications and conversions to suit customer specifications. Seaco is very proud to have established a dedicated team of 12 very talented individuals, each of whom are highly qualified with experience in business and customer relationship management. Collectively, the diverse careers demonstrate years of extensive experience across a wide range of industry sectors including; banking & finance, logistics and materials supply chain management, mining, government, defence, shipping, leasing, engineering, manufacturing, oil & gas and container accommodation. Customers can feel assured that Seaco Global Australia has the right people, as well as the right equipment, in the right place, at the right time. Finally, Seaco Global Australia are pleased to announce the launch of a new website seacoglobal.com.au to help reinforce Seaco’s brand positioning in the local marketplace. Fill in the online form below and we will direct your enquiry to the appropriate department.